This top handle is for use with the Tilta Camera Cages for Red DSMC2 – A1, B1, and C1. The handle features power pass through from the top plate to allow you to power accessories through the Top Handle Power Connection Module (ESP-02). A R/S button on the top of the handle allows you to record start/stop the camera directly. 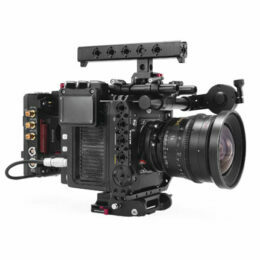 The plate is only sold as a replacement piece for the Tilta Camera Cages for Red DSMC2 – A1, B1, and C1 since it has exposed pins on the bottom that need to be covered by the top plate that is included in the cage for it to be safe and operational.